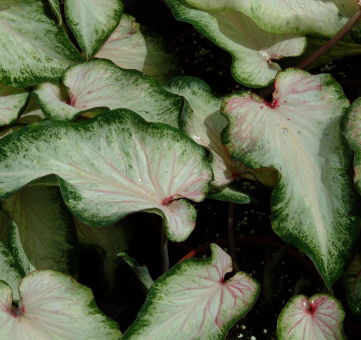 Caladium White Wing (Strap Leaf) - Brad's Bedding Plants, Inc.
A strap leaf varity that is white with a green border. Some leafs may have some red shading when grown in the shade. Grows 8-12″ in partial sun to partial shade.